Disclaimer: Pure Indian Foods provided me with a free press sample of this product to review, and I was under no obligation to review it if I so chose. Nor was I under any obligation to write a positive review. I’m my own person, I just tell you what I think. 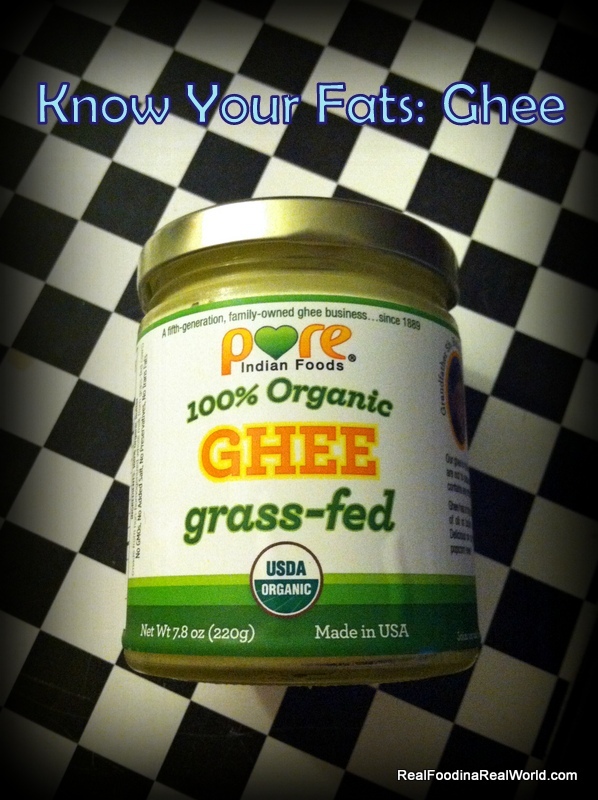 I have to tip my hat to Ghee, I never knew that I could eat it. I have a dairy allergy, and all I knew about ghee was that it was “clarified butter.” Well, butter comes from cow milk. I always assumed it was on the no no list. Turns out, the clarification process removes almost all of the milk solids. So even though ghee is made from fresh happy cow milk, it’s not actually much of a dairy product. I love the taste that butter imparts on some dishes, but butter doesn’t love me back, and butter burns. Ghee is very stable at high heat. It has a very high smoke point, so it doesn’t burn like butter. . When you saute and fry with ghee, there is no splattering. (yay less clean up) It also has a sweet aroma and the flavor will deepen as you cook with it. I give ghee two thumbs up, particularly this brand. Organic, grass-fed, sweet, nutty, non-burny (yes, I make up words) and delicious. Paleo and GAPS friendly.